Herbert Selmar Conrad was born in Adelaide on 21 February 1883, the eldest son of Selmar and Elizabeth Conrad. 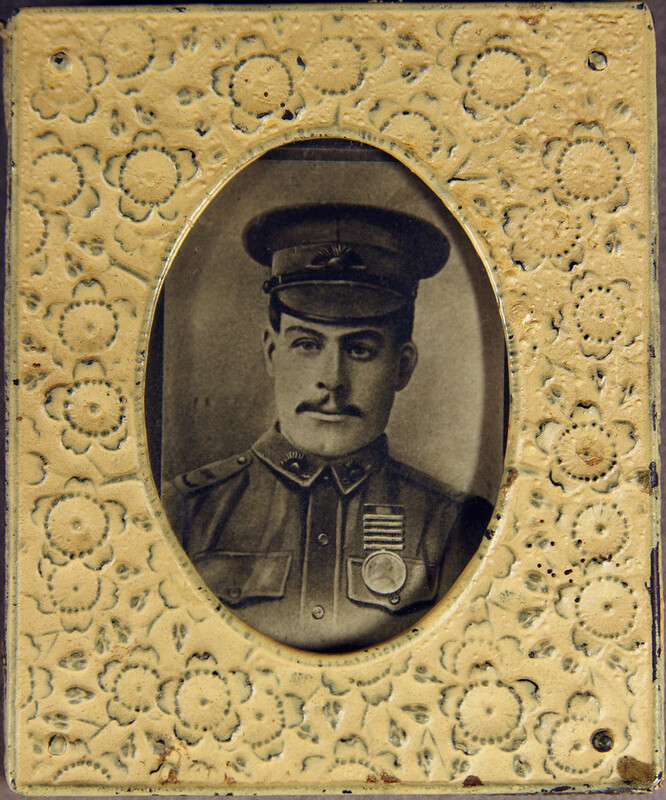 He served for 18 months in the South African War, receiving a medal with five clasps. Conrad enlisted within three months of the outbreak of World War One (26 October 1914). He became a Lance Corporal in the 16th Battalion. Conrad’s three brothers, Norman Keith, Oscar Leopold and Lancelot Vernon, also enlisted and served overseas. The 16th Battalion landed at Gallipoli on the evening of 25 April 1915. Herbert Conrad was reported missing in June 1915. His mother, Elizabeth, having no further news beyond this enquired with the South Australian Red Cross Information Bureau in early 1916. She explained she had received a letter from her son, Norman, who was told by a soldier in the same section as Herbert that their battalion was involved in continuous fighting between 3 and 8 May 1915 during which Herbert sustained a gunshot wound to the head. The witness reported that he did not know whether Herbert was killed by the shot or not, but that he was left behind when the unit retreated on 8 May. 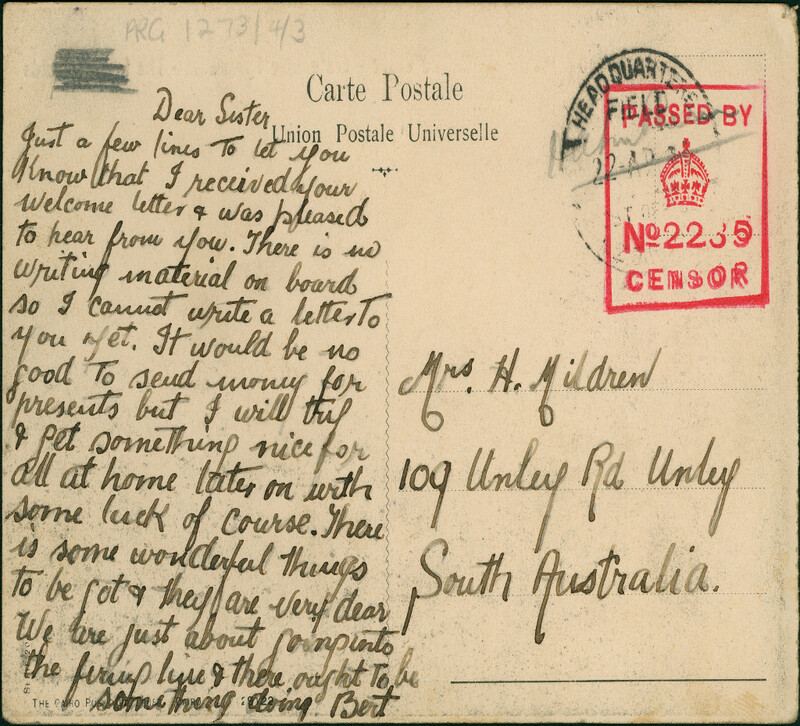 On 30 May the Bureau communicated to Mrs. Conrad that the Australian Military Records Office at the Australian High Commission in London had responded to its enquiry with the information that Herbert was reported missing in June 1915 and that until the time of writing (20 May 1916) his name had not appeared on any lists of prisoners of war. From this disconnect between the information the Military Records Office had available and that communicated by the eyewitnesses interviewed by the Red Cross it is easy to see the vital role the Information Bureaux played in getting more fulsome information about the soldiers to their families much sooner. The official certification that Herbert Conrad was killed in action at Quinn’s Post on 2 May 1915 and had no burial did not come from AIF headquarters until 26 August 1919.